Before accessing Kratom Journal (kratomjournal.com), you need to thoroughly read and understand the terms and conditions that come with the access, view, and use of the website and the contents and materials that are on this site. If you do not agree with the terms and conditions listed below, please refrain from accessing our website and using any part of it for any purpose. The contents (texts, images, graphics, and various information) published on the Kratom Journal website are for information and resource purposes only. They are not meant to be used for medical diagnosis, medication, or advise. Contents found on this site may only be used for information and we recommend to seek out a health expert or a physician for advice before using any information from this site for medical aid purposes. The contents in this website are only made to serve as an introduction to the use and effects of kratom, and it is not recommended to use them without consulting a physician or a health expert. Unless otherwise specifically stated, all the contents, any material found in this site are under the intellectual property of Kratom Journal and, in no way, transferable from Kratom Journal to you. You may view and download materials for caching purposes and print pages of the contents found on this site for personal use only. Republish any part of the content material found on this website. Show any part of any material from this site to the public. Duplicate, reproduce or copy any part of the materials from this site for commercial purposes. Kratom Journal does not allow access and offers services and products to people we suspect, believe, or know to be involved in any illegal activity. We do not offer such products and services that implies that they are health and medicine products and services. Kratom Journal reserves the right to refuse to sell products or provide any service to customers if we are not satisfied with the lawfulness of the end use of the product. It is prohibited to use this website and all materials and content found in this site in any manner that causes, or may cause, damage, and liability to the website or to the harm of the accessibility and availability of the website to users and visitors; or in any manner which is illegal, unlawful, harmful, and fraudulent in purpose or activity. You may not use this website or any content found in this site to copy, host, store, send, transmit, publish, or distribute for commercial purposes. 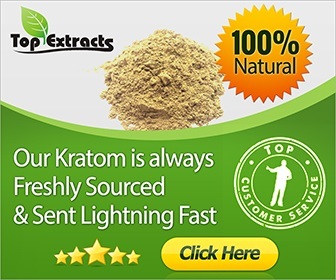 You may not use this website or any part of the material found on this site for any marketing purposes without any express written consent from Kratom Journal. You must not conduct any automated or systematic data collection activity such as data mining, data scraping, data harvesting, and data extraction on any part of this website unless express written consent from Kratom Journal is provided. Kratom Journal would not display or disclose any of your Personal Information in any way unless you specifically approved it. We do not give your Personal Information to third parties for any advertisements without your explicit permission and approval. Certain areas within the website have restricted access. Kratom Journal reserves the right to restrict the access to certain areas of this website or the entire website, at Kratom Journal’s discretion. If you are provided a user account and password to have access to certain restricted parts of the website, it is your responsibility to ensure that the details and password of the account are always kept confidential. You are fully liable for any event and activity done through this account. Kratom Journal reserves the right to disable a user account and access to restricted parts of the site, in Kratom Journal’s discretion, without explanation or notice. The Kratom Journal’s website is provided “as is” and without any warranty and representation. Kratom Journal doesn’t warrant or claim that: (i) the information and materials found on this site are complete, accurate, true, or misleading; (ii) this website is constantly available. Kratom Journal is not liable to you in relation to the materials and content and the use of this website. The website is not liable for the use of any material or content from the site for any special, indirect, or consequential loss; or for loss of revenue, profits, income, any business losses, contract losses, or loss of goodwill and reputation. Kratom Journal reserves the right to update, change, or modify any or all part of the entire Agreement stated herein without notice. Revised terms and conditions are effective immediately at the date of the publication of the revised agreement. It is recommended that you check out and read the terms and conditions for this site periodically to keep updated of any modification and changes made. These terms and conditions consist the entire agreement between you and Kratom Journal in relation to the access and view of this website as well as the use of any part, material, and content found on this site. This agreement is subject for change without prior notice and supersedes all the previous agreements in respect of the use and access of this website.